Agriculture and Rural Development Minister Niko Peleshi and the accompanying delegation completed successfully the official visit to Israel, at the invitation of Israeli Agriculture Minister Uri Ariel. "With Israeli Minister of Agriculture and Rural Development, Uri Ariel. 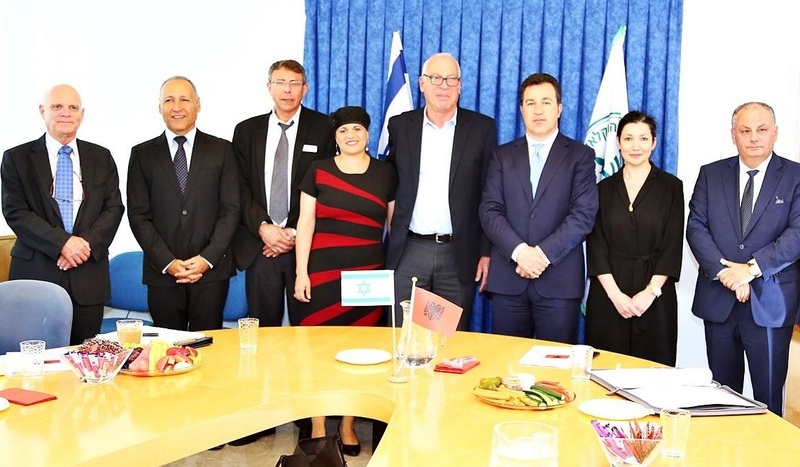 Wide cooperation between the two countries in the field of agriculture and especially in the advanced technology of greenhouses, where Israel is a model." - says Peleshi. The talks between the two ministers concluded with the signing of a Memorandum of Understanding that includes the assistance, building joint programs in the food and veterinary sector, the training of Albanian specialists in Israel and in the field of water management. Also present during the meeting was the Albanian Ambassador to Israel, Bardhyl Canaj. During this visit, Minister Peleshi attended also the World Agricultural Fair, "Agritech 2018", where he also held meetings with leaders of Israeli companies operating in the Albanian market. "Agritech" in Israel is the fair where agriculture touches the innovation. We need the speed that technology and innovation gives us to win the lost time in agriculture," Peleshi adds. Peleshi also met with the head of the Balkan department at Israel's Foreign Ministry, Yossy Levy and Macedonia's ambassador, Dan Oryan.